Why Aren’t Christmas Ads as Big a Deal in the U.S. as They Are in the U.K.? Like many Americans, Devra Pyrwes has watched the beautifully produced Christmas films posted online by U.K. retailers John Lewis and Sainsbury's. And like many Americans, Pyrwes got emotional watching the Man on the Moon and Mog the Cat, and she shared these videos on social media, just as tens of millions of other Americans did. If U.K. retailers are generating such enormous Web traffic and overall goodwill for their brands with touching short films, why don't their U.S. counterparts do the same? "It's such a missed opportunity," she says. "I'd love to get some American retailers into the mix." The mix she's referring to is Unruly's annual list of Top 10 Christmas spots ranked by social sharing. As one might expect, the 2014 list contained both Sainsbury's Great War-themed ad set in 1914, (771,372 shares) and John Lewis' "Monty the Penguin" short (1,012,603 shares). Burberry's beautifully choreographed, 4-minute video "From London with Love" made the list, too, with 190,835 shares. But American retailers? There's not a single one of them on there. And once the numbers come in for 2015 efforts—like the recent spots from John Lewis and Sainsbury's and the two-minute Christmas spot from German supermarket chain Edeka—it seems likely that America will be left in the cold once again. So, what's going on? Why are U.S. retailers missing out on what seems like such an obvious opportunity? As it turns out, that's a complicated question with more than one answer. To start with, Christmas ads are simply more of an institution in the U.K. than they are stateside. 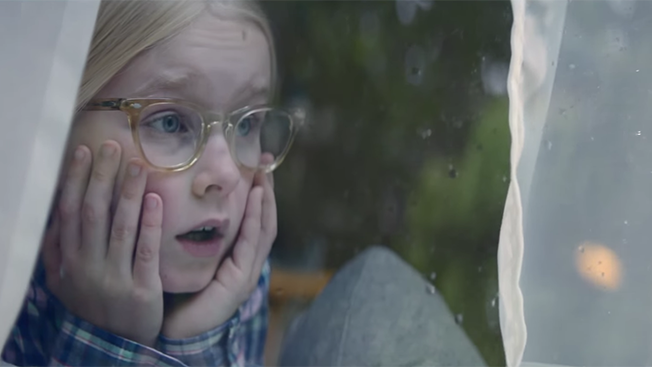 "The culture is different," Pyrwes says, explaining that the anticipation of the annual John Lewis ad has become something of a national event in England. "People wait for this ad—they wait for it," she says. John Lewis' effort, she says, "is like the Budweiser of ads." Budweiser, in fact, explains another key difference between the two nations. America has the Super Bowl as a must-spend event for advertisers, and the U.K. does not. Budweiser's "Lost Dog" spot notched 1.31 million shares after Super Bowl Sunday, which serves to justify Anheuser-Busch InBev's faith in the sporting event. By contrast, Christmas just can't deliver 114 million pairs of eyeballs on one night the way the Big Game can. But according to David Murdico, creative director of LA shop Supercool Creative, there's another reason why U.S. retailers—perhaps U.S. brands overall—take a back seat to the U.K. when it comes to investing in high-concept Christmas shorts: They want more of an immediate payoff. "In the U.S.," Murdico says, "marketers are looking for a direct and immediate online video to sales, cause and effect outcome, and are more risk averse and reluctant than many other countries to take chances, go out on a limb or invest in the long play versus the short play, like TV ads and one-off videos with a post-and-pray mentality." Unruly's intelligence bears this point out. Many American retailers, Pyrwes says, "are still wrapping their heads around" online video releases—not because they don't see the value, necessarily, but because that value is less immediate. At holiday time, American retailers generally push messages of price and selection. By contrast, while the cheerful holiday feelings engendered by long-form video produced by the likes of John Lewis have an obvious return on investment (the store wouldn't do them otherwise), the ROI is also longer-term and tougher to measure. That probably explains why retailers like Target—which does have a variety of holiday videos on its Web site—stays on the well worn path of using branded characters (including the Minions and the Muppets), whose overriding Christmas message seems to be: You can buy us at Target. What's more, the investment required to produce a cinema-quality Christmas short is considerable. Adam&EveDDB executive creative director Ben Priest worked on The Man on the Moon for 10 months. And Murdico adds that as U.K. stores continue to produce better and better videos, they inadvertently raise the intimidation level for would-be American entrants, thus making their participation even less likely. "The bar is consistently being raised on online video production quality," Murdico says, "and neither the videos themselves nor the advertising and social media push required to promote them is cheap, which also adds to the risk." This year, one American retailer willing to take that risk was Macy's. The venerable New York retailer commissioned J. Walter Thompson to produce "The Wish Writer," a Web film that augments the store's "Believe" theme that it's used for the past eight years. At a little over three minutes, the effort has the feature-length feel of its European counterparts. And since the film is about a little girl who uses a magic pencil to do good deeds for others—as opposed to just going shopping, which is the usual message of U.S. holiday ads—"The Wish Writer" is clearly aiming to elevate Macy's above the usual crop of holiday store ads. "This year, we wanted to focus on storytelling," says Macy's CMO Martine Reardon, who points out that the store's "Believe" campaign is about generosity already. "With that in mind," she told Adweek, "We worked to create a short film that would convey that message." Thus far, the short has garnered roughly 8 million views on YouTube. Macy's also cut the film down to a 90-second spot that it used during the Macy's Thanksgiving Day Parade. Back at Unruly Group, Pyrwes is hoping that more retailers will take the chance that Macy's did—because, she says, Web video isn't as much of a risk as some seem to think. "Our emotions drive our purchases," she says. "The No. 1 reason people share an ad is intensity of emotion. Great emotional ads are all highly shared and important because they drive brand recall—and all of these things are what retailers want."